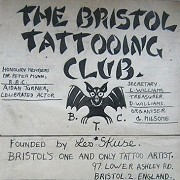 The Bristol Tattoo Club (or 'BTC' for short) was the brainchild of Les Skuse, Champion Tattoo Artist of All Great Britain. LES HAD THE original idea in 1951, but it wasn't until 1953 that the Club was formally started. Les wanted to heighten the awareness of the good in tattooing, in the process getting away from the general misconception that only 'bad people' or armed forces wore tattoos. Les wanted to heighten the awareness of the good in tattooing, in the process getting away from the general misconception that only 'bad people' or armed forces wore tattoos. 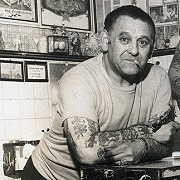 Les wanted the BTC to promote and set a higher standard of tattooing (of which he did more in later years with the British Guild of Professional Tattoo Artists. Les wanted not only tattoo artists (not that there were many in those days), but tattoo fans alike to show off their bodies and wear their inkwork with pride. He envisaged a meeting where artists and customers could meet, mingle, make new friends and share stories and methods. The first ever tattoo convention was held at the White Horse public house in Lower Ashley Road, Bristol. Les soon realised that the venue was not going to be big enough, so the following year, he moved it to the Cornish Mount Club in Pennywell Road. This is the venue where most of the photographs were taken that you now see in books and on the internet. Les was very fortunate in that a couple of years earlier, an amateur photographer called Harrold Smart called into Les's studio and asked if he could take some pictures of the outside of Les's shop. The two men got into conversation, and the rest is history. Harry continued taking pictures for the next 15 years or so, attending most, if not all, of the Bristol conventions. Les was getting a great deal of attention from the press, and had lots of great artists attending from all parts of the world, including Al Schiefley, Huck Spaulding, Milton Zeis, Tattoo Peter, Albert Cornelious, Jimmy Thompson, Rich Mingins, Jessie Knight, Art Cail and Ron Ackers. The BTC itself had lots of famous tattoo artists that were members, not only the ones previously mentioned, including Sailor Jerry Collins, Tattoo Jack, Leslie Burchett, Charlie Snow, Lyle Tuttle, Doc Forbes, Doc Webb, Bert Grim and many, many more. Les visited the USA and took the BTC over to Sudusky, where President Al Schiefley organised the very first get together of his new Sudusky Tattoo Club. 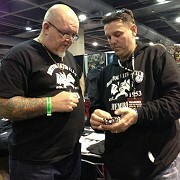 This was the first tattoo convention in the USA, in 1956. Artists attending in those days included DC Paul, Huck Spaulding, Paul Rodgers, Milton Zeis and many more. These conventions were running way before the so-called 1970 first USA convention. These tattoo artists were forefathers who had pioneered the way for the tattoo artists of the future. Les Skuse ran the BTC until his death in 1973, when his Son Danny (Les Skuse Jr) took over the Presidency. Danny ran the BTC in a more subdued way. During this time it was featured in a lot of publications, but was not hitting the heights to which Les had taken it. 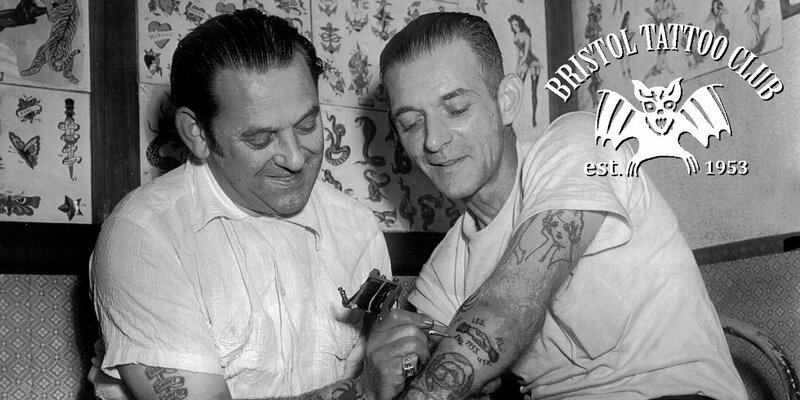 Danny handed the over the reigns to the latest President Jimmie Skuse, who has started to transform the Bristol Tattoo Club back to its glory days. 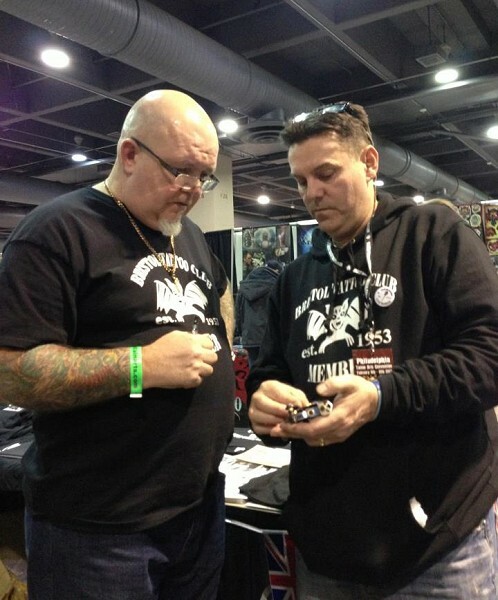 In 2013, Jimmie and the Bristol Tattoo Club was invited over to the States by Troy Timpel, who runs the Philadelphia convention, to have a booth and to create the first large get together of Bristol Tattoo Club members since the last trip in 1956. Over 100 members attended, and in the process the BTC made it to CBS News and was featured in lots of publications, keeping the tradition alive. On returning to England, Jimmie received a great deal of enquiries from fans and fellow tattoo artists, all keen to join the Bristol Tattoo Club. Joining the Bristol Tattoo Club today is very easy. You can pay for membership and receive the Club certificate and sticker online via PayPal. See the 'Join/Merch' page for full details. 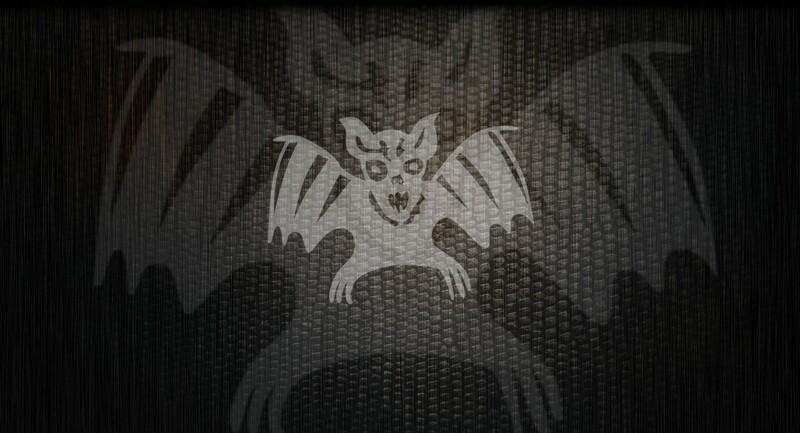 Other merchandising is also listed on the same page. More conventions will be attended by the BTC, where new and old members alike can meet and greet one another, and keep what is the oldest tattoo club in the world strongly alive - keeping it history and not a mystery. 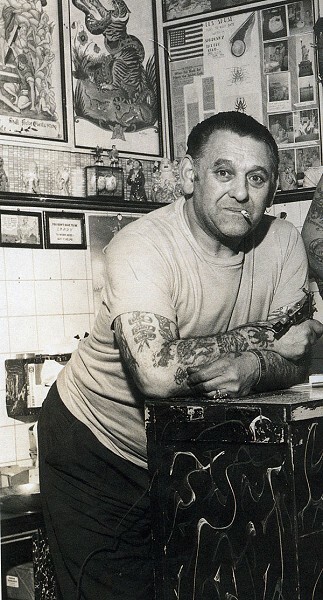 JIMMIE SKUSE, PRESIDENT - BRISTOL TATTOO CLUB. 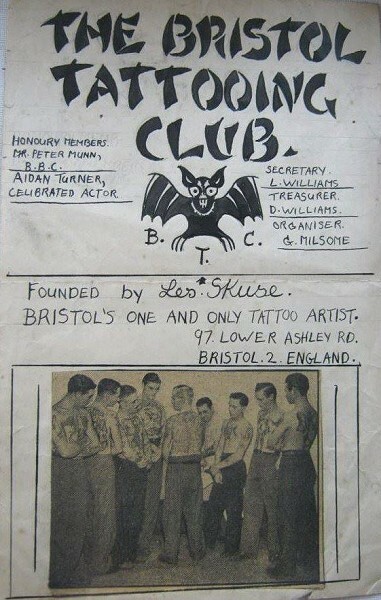 British Pathé archive film featuring Les Skuse and the Bristol Tattoo Club.